This Connecticut band had a huge hit with "Ding Dong! The Witch Is Dead" as their first record on the Jubilee label. A creatively written and arranged song for all intents and purposes, that song was deserving of its hit status. 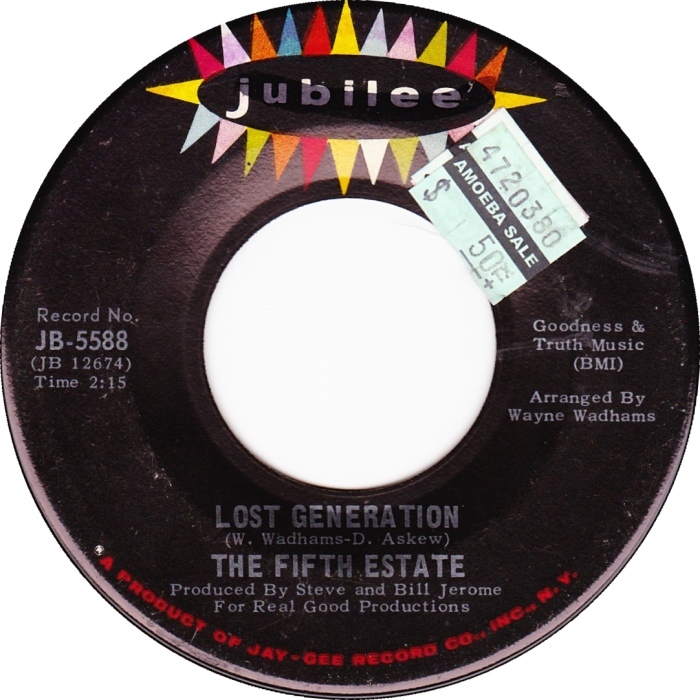 Unfortunately, this song, "Lost Generation", never stood a chance of being a hit, as it was the B-side of their first 45 after "Ding Dong". Nevertheless, it is very cleverly written and somewhat self-deprecating, as it describes the "lost generation" that the band apparently is a part of. This, folks, is why you listen to the B-side!